What are Palm Kernel Expeller Machines? Palm kernel expeller machines are designed using the most advanced technology by experienced professionals. These machines make it easy to extract palm oil and palm kernel cake. Palm kernel cake is a product that is obtained when palm kernel is crushed to expel oil. This is a mechanical process that is important in the production of animal feed. The palm kernel expeller is used as animal feed for sheep, poultry, horses, and cows. The palm kernel is rich in a variety of nutrients that include protein, fiber, iron, zinc, and magnesium. It also contains palmitic acid and residual oil. The main function of the machines is to crush copra and kernels to extract the oil and cake. The palm expeller machines are used in a variety of processes to produce the palm kernel cake. 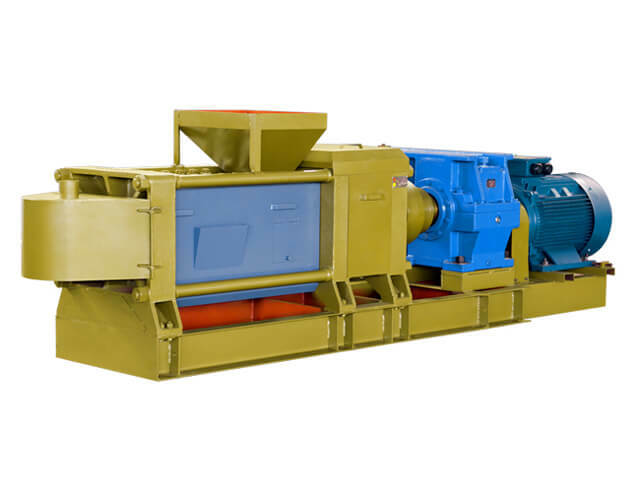 These include kernel pre-treatment, grinding, flaking, steam conditioning, and screw pressing. During the pre-treatment process, the kernel is cleaned before it is ground to reduce its size. The machines separate the oil from solid impurities during the screw pressing phase. The palm kernel that is obtained after expelling the oil is allowed to cool before storage. This cake is used as animal feed. The machines are used for three different extraction processes that include complete pre-treatment, partial pre-treatment, and direct screw-pressing. For complete pre-treatment, the machines clean, grind, flake, and steam condition the palm kernels before they are pressed. This process is usually carried out in plants that have a large capacity. The machines break down the palm kernels into small fragments before grinding them. Once the kernels are ground, the machines screw presses them to expel oil. Some of the machines are designed to cook kernels. The expeller machines can also crush the kernels without going through any pre-treatment process. In such cases, the machines are designed to go through double pressing to make sure the oil is extracted efficiently. Ultimately, the expelled palm kernel oil contains a given quantity of "foots and fines 'which needs removing. Thereafter, the oil coming from the presses gets drained into a reservoir. After that, the palm kernel oil can be pumped either to the revolving coarse screen or to a decanter. The aim is to solid impurities. What follows is pumping the oil to filter press so that the remaining fines and solids can be removed. This ensures that clear palm kernel oil is produced before storage. The cakes that have been released from the presses are transported for bulk storage or bagging. It takes a lot of effort to expel oil from the palm kernels. The palm kernel expeller machine helps to make the palm kernel extraction process more efficient. They are a low investment and can be installed with ease. These expeller machines offer a high capacity that allows them to deliver several tones of oil each day. The cost of operating the machine is low. It takes a short period to extract palm oil using the machines and this enhancing a plant's productivity. The machines are made of alloy steel and their screw shafts are tested using an ultrasound to ensure efficiency. The bearings are heavy duty, which allows the machines to withstand several tones of palm kernel. This also helps to reduce wear and tear in the internal parts of the machine. Palm kernel expeller machines ensure low residual oil content once the cakes are pressed for a second time. They also consume less power compared to other types of machines, which makes them cost efficient. The use of palm kernel expeller machines is necessary if a plant wants to maximize its oil extraction process. The machines are designed after specialized research to make sure that each one meets quality standards.